Sarah Nader - snader@shawmedia.com McHenry's Justin Rutherford (left) and Zac Gorniak celebrate a goal Gorniak scored during the second half of Thursday's soccer match against Crystal Lake South in McHenry Oct. 13, 2016. McHenry won, 3-2. 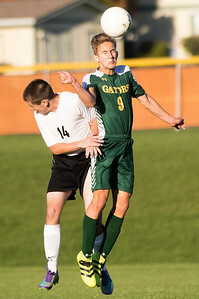 Sarah Nader - snader@shawmedia.com Crystal Lake South's Ryan Coughlin (left) and McHenry's Ian Tapia try to keep a ball inbounds during the second half of Thursday's soccer match in McHenry Oct. 13, 2016. McHenry won, 3-2. 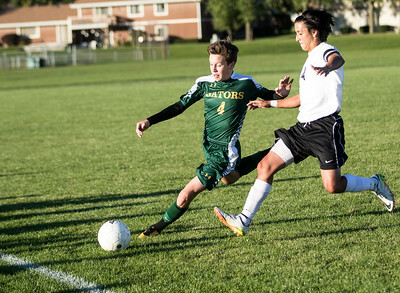 Sarah Nader - snader@shawmedia.com McHenry's Nicholas Freelove (left) and Crystal Lake South's Marcin Sliwinski head the ball during the first half of Thursday's soccer match in McHenry Oct. 13, 2016. McHenry won, 3-2. 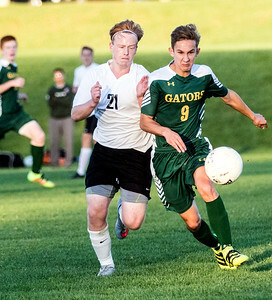 Sarah Nader - snader@shawmedia.com Crystal Lake South's John Wruck (left) runs after McHenry's Nicholas Freelove while he dribbles towards the goal during the first half of Thursday's soccer match in McHenry Oct. 13, 2016. McHenry won, 3-2. 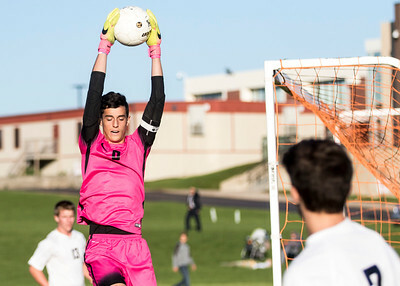 Sarah Nader - snader@shawmedia.com McHenry's Jake King stops a goal during the first half of Thursday's soccer match against Crystal Lake South in McHenry Oct. 13, 2016. McHenry won, 3-2. 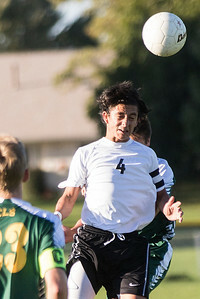 Sarah Nader - snader@shawmedia.com McHenry's Ian Tapia heads the ball during the first half of Thursday's soccer match against Crystal Lake South in McHenry Oct. 13, 2016. McHenry won, 3-2. Sarah Nader - snader@shawmedia.com McHenry's Zac Gorniak (left) and Crystal Lake South's Marcin Sliwinski runs after the ball during the second half of Thursday's soccer match in McHenry Oct. 13, 2016. McHenry won, 3-2. 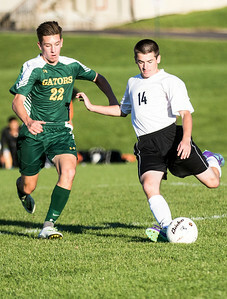 McHenry's Nicholas Freelove (left) and Crystal Lake South's Marcin Sliwinski head the ball during the first half of Thursday's soccer match in McHenry Oct. 13, 2016. McHenry won, 3-2.